A friend of mine (Fred) recently quit his job & he was confused about filing his income tax return. And someone also suggested him to file a Nil Return due to which he got even more confused. As he knew that I worked as a tax consultant so he approached me for help. Fred: Hey Win, how are you doing? It’s been a long time. Win: Yeah, tell me. The last we met it was almost like 2 months ago. What’s keeping you so busy buddy? Fred: My job, it was so hectic that I was not at all keeping well. Finally I decided to quit & enjoy some relaxing time. But I am still worried about my ITR filing & that’s why I wanted your help Win. Win: Sure, tell me. What can I do for you ? Fred: I left my job this year & I am confused whether I should file my incometax return or not? Because in this year my total income is less than ₹2,50,000 as I had to take lot of leaves from office due to my health issues. Also, one of my friend said that I should file Nil Return or something like that. Win: Okay, let us break down & review all your problems one-by-one. As this year your total income is less than ₹2,50,000 which is below the threshold limit, so legally you are not required to file ITR. Win: But as you have been e filing IT return in previous years as your total income exceeded basic limit. So you are confused what should be done right? Win: This situation is very common my friend. Many taxpayers do not have income exceeding threshold limit or no income at all but they still file income tax return. And such return is called Nil Return. 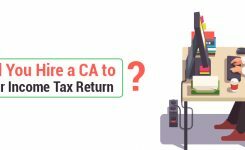 Win: Filing Nil Return is similar to filing regular ITR. 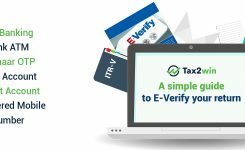 Visit incometaxefiling website, log-in to your account & select online filing option. 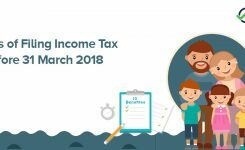 Now, you just need to enter details about all your sources of income & as your total income is less than ₹2,50,000 so tax payable will come to Nil. Win: But please remember, as your income has only salary income which allows you to file ITR 1 online/offline for fy 2017-18 (ay 2018-19). If you have capital gains income or business income etc then ITR form shall change. 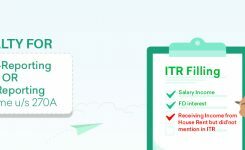 Know about various ITR forms. Fred: But what if I do not file income tax india nil return? Win: Well you have the option to do that, but I’d personally recommend you to file ITR. Reason being, as you were already filing for previous year & non-filing for 1 year can bring scrutiny notice u/s 142(1). 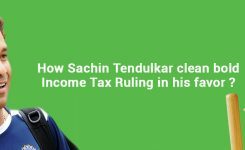 Win: Also, regular filing of ITR will keep your record clean with the income tax department. And you will be able to apply for home loan, vehicle loan, faster processing of VISA etc. 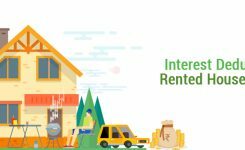 Know your Income Tax Refund status online for FREE. Fred: Wow! Thank you Win. I never knew that filing Nil Return can be so beneficial. Win: You are welcome Fred. By the way, you can also file Income Tax Return online for FREE through Tax2win. Their IT return filing software is so user-friendly that one can file return within 4 minutes. Fred: That’s really nice. I will check their website for sure. So this was Fred who was facing issues in filing Nil Return. It is very common for taxpayers to face such confusion as they do not have proper knowledge & guidance. So I hope after going through our conversation, all your queries related to Nil Return are solved. 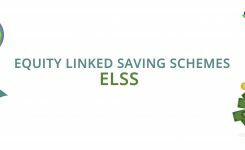 Still if you need any assistance, get in touch with our eCAs, available to help you 24×7. You can also determine your tax liability/ refund using our FREE online income tax calculator tool.